As many of you know, I found myself in the middle of the Ivy/Houzz controversy last week. A lot has been said about how IvyMark is trying to support the design community, and that it is not about the money. If you listened to my interview with Lee Rotenberg, one of the co-founders, you heard how she berated, tried to bully, talk down, and talk over me… yet still managing to avoid my main questions while accusing me of being a “fear-monger.” I, like many of my interior designer friends, feel that the sale was nothing more than a way to leverage the data that Ivy was able to mine from designers, collected by their platform, AND from their “private” chat community the designers were invited into…all under the guise of trying to build a better solution FOR DESIGNERS. A friend of mine just shared a piece that was written by Lee on 2/6/2018 titled “Turning the Corner on a Marketplace – One Year Ahead of Schedule.” This article was posted on Medium.com, but was quickly scrubbed. Thankfully, an interior designer was smart enough to save it as a PDF so I could share it with you. Here is the article. I have copied and pasted the text, but would gladly email out the original capture to anyone that would like to see it. Sorry, I could not get the graphics to copy over…but they are just boring graphs. Today IvyMark is the leading operating system for interior design firms. Everything a firm does — from ideation, sourcing, collaboration, billing clients and paying vendors — is done on IvyMark’s platform. This crazy invoicing volume is even crazier when you think about it’s impact on IvyMark’s greater mission of reshaping the way B2B commerce works in the home remodeling space. Every line item in every invoice feeds IvyMark with data that doesn’t exist anywhere else and allows us to understand the types of vendors that are being used on projects (budget, geolocation, style, room), as well as the vendors that were included on proposals that never made it to the invoice stage. By owning the workflow of interior design firms IvyMark is the iceberg of trade decision-making, whereas ecomm players like Wayfair are just the tip of it. What exactly do I mean? Well, we see the entire story of how sourcing decisions are made — not just whether a product is added to checkout cart or not — and how these choices translate into the invoices themselves. That’s the magic of owning the workflow. You know that little thing called Pinterest? Interior design firms pinned products to create ideation boards for their clients within Pinterest — that is, until IvyMark introduced our Product Clipper that empowers designers to source products from anywhere on the web directly into the proposals & invoices (BOOM! Now that’s a timesaver!). Since launching the clipper in December 2016 we’ve had more than 154,681 products added into our system giving IvyMark unique perspective on how interior designers source. IvyMark’s ownership of a firms workday enabled us to launch Discover this month— a year ahead of schedule — because our users built out this section for us. That’s the unstoppable magic of being the center of the decision-maker’s workflow. Unveiling Discover: A new way for the trade to find the right pros Discover is a new section within our platform that allows users to connect with service pros outside of their existing network. The really unique thing about Discover is it’s 100% curated by our community — service pros are only included if they’ve done business with our members. This is an important element because it creates a trusted knowledge exchange amongst industry peers. In the first 7 days of going live with Discover over 600 firms used this feature even before we announced it. Our team wasn’t surprised by the success of this silent launch because we see over 28,500 discussions on sourcing products & pros from the Ivy Community every single month. Discover has done two really important things: 1) IvyMark is now more than just a platform to run a business — we are the place to source & discover new connections; 2) IvyMark is gaining deeper understanding on how new connections are made to empower better ones in the future. We’re passionate about helping businesses run better and in doing so we’re reshaping the way the industry does business. Why did they not want people to see this online after the sale and the fallout? Would love to hear your thoughts on this. 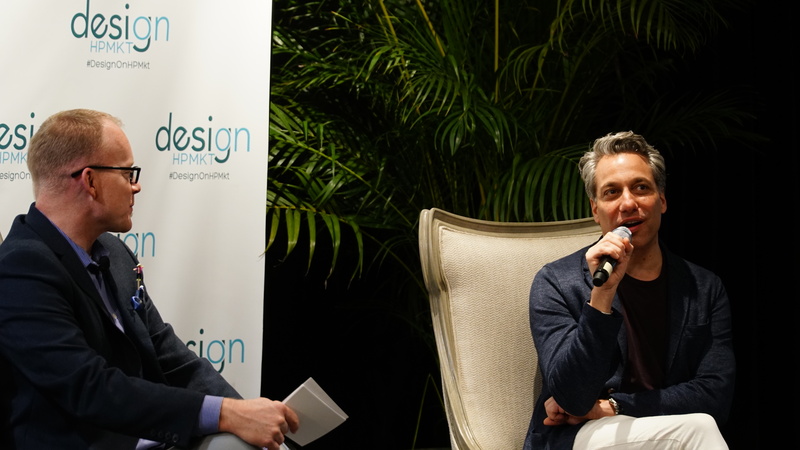 Today in The Lounge, Nick hosts the Hospitality Insiders Share All: What it Takes to be a Designer in the Hospitality Sector panel with guests Gary Inman, Nina Magon, Patrick Sutton, and Todd Ellenberger. The panel was recorded live at High Point! Nick also talks with Lynne Lawson of Lawson Dream Team at Norwalk Furniture during High Point. Lynne and Nick discuss how she finally entered into interior design and how she did it with no interior design education. The panel begins with each designer introducing themselves and talking about how they began their careers in interior design. They all work in varying design firms, from large to small. Both Gary and Nina have fashion design backgrounds and then later moved to interior design. Patrick is the son of a pioneer of ‘travelism,’ so he spent his childhood seeing the world and enjoying its architecture. He loved the world of architecture but felt something was missing. In order to complete his story, he stopped doing architecture and began designing interiors of buildings. 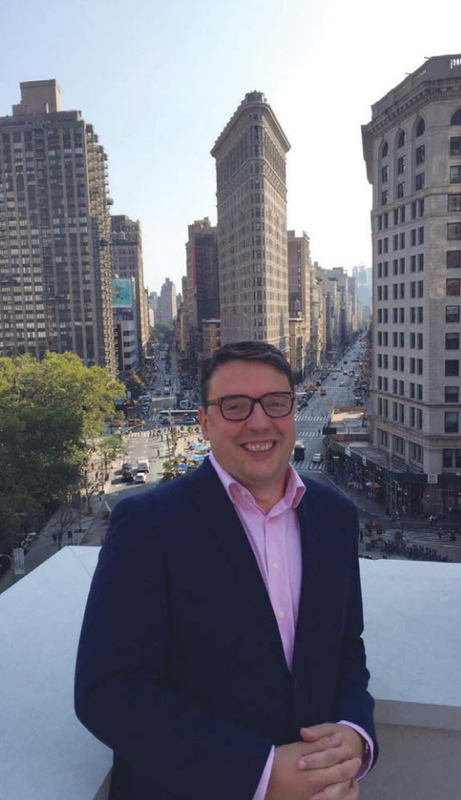 Todd started thinking about interior design in high school and right out of school began designing handmade draperies for high-end residential clients. A few years down the road and he now works for Hirsch Bedner Associates. The designers talk about their transitions into the hospitality sector and some of the difficulties they faced in changing from residential to hospitality. They discuss the differences in design, such as logistics and fabrics, as well as the change in monetary profits. They also chat about how long it really takes to design a hotel from start to finish. For more input, listen to the full panel! The last vacation Lynne took was in Europe when she visited Austria and Switzerland this past summer. She fell in love with Switzerland during her two-week stay. Lynne lives in Columbia, Maryland and the last home decor piece she purchased for her home was a convertible cocktail to dinner table. The one room in her home that she would never put on Instagram, is her daughter’s room because it’s still in transition from her moving out… Lynne plans on converting it to her ‘woman cave.’ “Beer, wine or cocktail?” Lynne prefers wine. Decorating Den Interiors is a 47-year-old business of individually owned and operated franchises. It is for both start-up interior decorators with no experience and interior designers with degrees who want to take advantage of the business, marketing, and public relations opportunities that Decorating Den Interiors provides. To get into Decorating Den, you first have to contact the corporate office and they take you through a series of steps: you qualify the company and the company qualifies you. At the end of the day, you should be able to run your own franchise! If you move forward in the process, you are then given both business and design training. Some of their training includes how to recieve leads and how to market your business. You are encouraged to have a grand opening seminar to generate leads so you can get started on designing. In the beginning, you continue to receive training from a manager as well as continue going to CEUs (Continuing Education Units). Lynne says that running your business from a series of consistent and repeatable processes makes it successful! Nick, Lynne Lawson of Lawson Dream Team and Christi Tasker of Tasker Agency at the Norwalk showroom during High Point! Lynne’s team is made of three people: Lynne’s husband, Bruce, is the general manager and IT guy; Lynne is the decorator; and Lynne’s daughter, Laura, is the interior designer. They have done some commercial work mostly for funeral homes. Lynne defines an interior designer as someone who is classically trained to design and decorate a home. A decorator, like herself, can essentially perform the same tasks, just without a degree. For example, Lynne does not move walls; when it comes to architectural changes, that’s where her line is drawn. She and her team mostly work on furnishings and finishes. Lynne has been named the top decorator in Decorating Den three times, which is unprecedented in Decorating Den’s history. Decorator of the year is based on decorating, not sales. Every year there is a dream room contest, if you have done beautiful work throughout the year, you can enter this contest with a design board. It is then judged by magazine editors from House Beautiful and others as well. The room is entered into different categories and you have to be the top in all categories to win designer of the year! Designers Den provides substantial training on how to market your business. Before training, Lynne would go and promote her business with flyers door to door. Now, it’s all about internet presence and her digital footprint. Laura stays on top of all Lynne’s social media. Lynne’s number one leads source is from repeat and referral customers. Number two is search engine optimization, which they keep track of by asking their clients where they heard of her business. A small phone interview determines if a client is a good fit. At any given moment Lynne has 7-15 projects going on. She also does paint color consultations, which is another way to bring in more business. Lynne prefers Benjamin Moore paint because the colors are just beautiful. Lynne’s favorite hat to wear is the ‘interacting with clients’ hat. She also loves doing ‘the reveal.’ Lynne’s clients love the experience of the reveal as well because when the photographer comes in to take pictures, it makes them feel like they are on TV. Her least favorite thing to do is placing the order for clients. It’s nerve-wracking so she always quadruple checks it before ordering. Lynne never work with vendors that aren’t IT savvy. Down the road, Lynne does have an exit strategy, which is selling to her daughter. Lynne would stay on as a senior designer, pick her projects, and only work with ideal clients. She would also help out her daughter with the business, even in retirement. For more information visit www.decdens.com/llawson/index.html. You can also email lynnelawson@verizon.net or call (410)531-758. 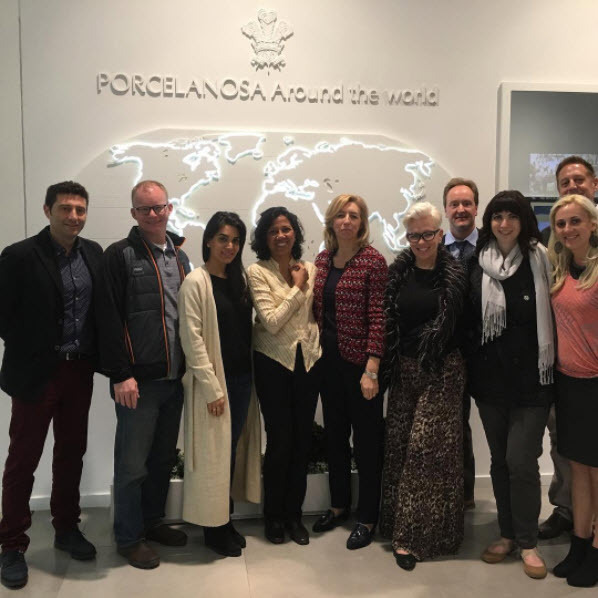 In the world of porcelain, stone and ceramic wall & floor design, there are two key international exhibitions that take place every year – Cersaie in Bologna, Italy during the close of September and Cevisama in Valencia, Spain. Earlier this year, The Chaise Lounge along with sponsor Porcelanosa visited the Spanish Group’s exhibition which ran concurrently with Cevisama. The following shows recap some of the highlights of the tour with guests sharing their individual and collective experience from the trip, the inspiration for which was the Chaise Lounge’s social media competition #Let’sGoToSpain. Eloy Selles is the General Manager of the West Coast of the United States for Porcelanosa. A native of Madrid, he can now be found in the company’s Southern California offices. Eloy and Nick discuss the itinerary that sees guests take in three major cities and eight factories over a whirlwind five day period, where the emphasis plays to enjoying all that Spain has to offer in culture, hospitality, gastronomy and of course, great design. Some of Porcelanosa’s newest product launches that were displayed on the trip included Tono by Foster + Partners, Vitae by Zaha Hadid, K-LIFE by KRION®, and the Seedwood collection by VENIS. It is clear that Eloy could not be happier or more proud than when he’s hosting clients and guests in his homeland. The experience of touring the most modern High-Tec manufacturing facilities and artistically designed showrooms leaves visitors with lasting memories and inspiration. Nick recounts some of the highlights which included Santiago Calatrava’s modern City of Arts and Sciences in Valencia, the work of Antoni Gaudí’ in Barcelona – from La SagradaFamília to Park Güell – and the countless restaurants and boutique hotels enjoyed along the way. Nina is the Principal of Contour Interior Design and was familiar with Porcelanosa before the trip but was not aware of the extent of the company’s offering beyond tile. Nina chats with Nick about the value she gained from the experience, the sincerity of the customer service and absolute absence of any agenda to overtly promote product to the group at any point. Nina enjoyed everything on the trip during the group’s hectic days together. One outstanding memory was the timely coincidence of joining the crowds in Valencia during the Las Fallas Festival. Enroute to Madrid the group had just finished touring the last factory in time to witness daytime fireworks with what seemed to be a million people celebrating Valencian culture in the center of the city in the early afternoon. Nina’s undoubted opinion is that anybody who has the opportunity to join a Porcelanosa design trip to Spain is blessed, high praise indeed from a former guest on The Chaise Lounge. Currently, Nina and Contour Interior Design are working on a multitude of projects – including the owner suites at Minute Maid Park for the Houston Astros, a medical center and a 42,000 sq. ft. office building. Nina was also chosen as a blogger for the 2017 High Point Market to talk about her favorite products as a trend spotter for the new season. Her blog, Live Stylish Daily was awarded Best New Design Blog during the National Design Bloggers Conference in Atlanta and she’ll join Nick on the Chaise Lounge High Point panel Hospitality Insiders Share All: What it Takes to be a Designer in the Hospitality Sector.